To detect Cytotoxic T- Lymphocyte Antigen-4 (CTLA4) single nucleotide polymorphisms (SNPs) at +49A/G (rs231775) and -318C/T (rs5742909) positions in children with idiopathic nephrotic syndrome (INS) and also assay urinary soluble CTLA4 (sCTLA4) levels in children with minimal change disease (MCD), focal segmental glomerulosclerosis (FSGS) and steroid sensitive nephrotic syndrome (SSNS) in remission. The study included 59 patients of INS (MCD-23, FSGS-15 and SSNS in remission-21) and 35 healthy controls. The CTLA4 SNPs profiling was done in peripheral blood mononuclear cells and urinary sCTLA4 level was assayed by ELISA kit. Although frequency of homozygous +49 GG (rs4553808) genotype (26.3% vs. 11.4%; p = 0.231) and G allele (52.6% vs. 40%; p = 0.216) were found to be higher in INS as compared to controls, the differences were statistically non-significant. Genotypes GG, AG, AA and alleles A and G frequencies were comparable among MCD, FSGS and controls. SNP at −318 C/T (rs5742909) did not show homozygous TT genotype both in INS as well as controls. Median urinary sCTLA4/creatinine level was significantly higher in MCD as compared to FSGS (p = 0.027), SSNS in remission (p = 0.001) and controls (p = 0.003). The positive associations of +49 GG genotype and G allele in patients with nephrotic syndrome were not observed. The frequencies did not differ significantly among MCD, FSGS and controls. Urinary sCTLA4 level was significantly increased in MCD; suggesting its possible role in the pathogenesis of disease. OPM, PC and RP: Involved in the study design, conduction, data analysis and drafting of manuscript; AS, AA: Helped in data analysis and drafting of manuscript; GN: Helped in genetic analysis; PS: Performed assay of urinary sCTLA4; VVB: Examined the histopathology of renal tissues. OPM will act as guarantor for this paper. 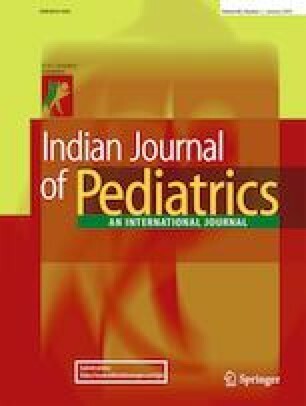 The study was supported by the Institutional Grants of Department of Pediatrics, Institute of Medical Sciences and School of Biochemical Engineering, Indian Institute of Technology, Banaras Hindu University, Varanasi, India.